These are some of Our Favorite Links. We know you'll like them too! Bookmark this page and come back often! We add new items all the time. Mahalo! A family owned and operated business whose goal is to live and share the aloha spirit with all who come to the Big Island of Hawaii. One of the best tour companies available. The best land tours on the Big Island of Hawaii (808) 934-7977! C Big Island offers unique tours to the Kilauea volcano, waterfalls, green sand beach and much more in luxury SUVS and ECO vehicles with extreme comfort. Don’t forget to also check out our other water and air tours! The world's biggest and best Hawaiian Music Internet Station and so much more. Building a carousel by and for the State of Hawaii. Come join the fun. 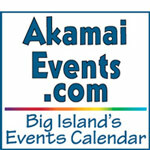 Learn about the Big Island of Hawaii and plan your upcoming trip using their website. They share their favorite things to do, activities, itineraries, beaches, restaurants, and everything else you need to know for your vacation. 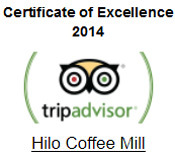 They are a sustainable travel guide for the Big Island written by people with a passion for Hawaii.